The Secretary of State's Office did not refer to signatures on file with the voter registration database, after a staffer identified a concern with signatures on petitions submitted by Republican Senate candidate Jon Keyser. When analyzing petition signatures, the Secretary of State's Office outsources that work to the Department of Personnel and Administration in Pueblo. A staffer within DPA, representing Integrated Document Solutions, alerted the Secretary of State's Office on April 14 to a concern that pages of signatures were written in the same handwriting. That same staffer also identified the signature of a dead voter on April 12. That voter died in January, but the signature indicated it was written on March 28. That signature was rejected as part of the review process. At a news conference on Thursday, the state election director addressed what happened and what would change as a result. "Was there ever an attempt to compare those signatures of concern to the voter registration database?" asked Denver7 political reporter Marshall Zelinger. "Comparing a signature to a signature on file? No, that was not done," said Secretary of State's Office Election Director Judd Choate. "Under state law, we are permitted only to evaluate the content of a signature, the area where a person fills out the signature. So their name, their address, the county that they live in. We are not permitted under state law to compare signatures." 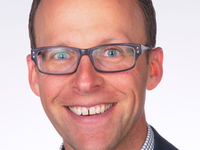 "Even when someone internally that you've hired, says, 'I have a concern?'" asked Zelinger. "Even under that circumstance, we're not permitted to compare signatures," said Choate. Secretary of State Wayne Williams found out on Tuesday that his office had been notified about a concern in mid-April. He had his staff contact the Denver District Attorney's Office about the dead voter's signature. Choate said the office is creating new policies so that the Secretary of State would be notified of a similar concern in the future. "That process going forward will be, anytime we learn of potential fraud, we'll let the superiors know. Secretary Williams will know, and I'm sure that the Secretary would want to pass that along to either the Attorney General or the District Attorney for that district, so that a proper investigation could take place," said Choate. "There was no process requirement in the line of authority to pass that forward. There should have been. That was a failing on my part. We'll make that correction -- have made that correction -- we'll have a new process going forward." 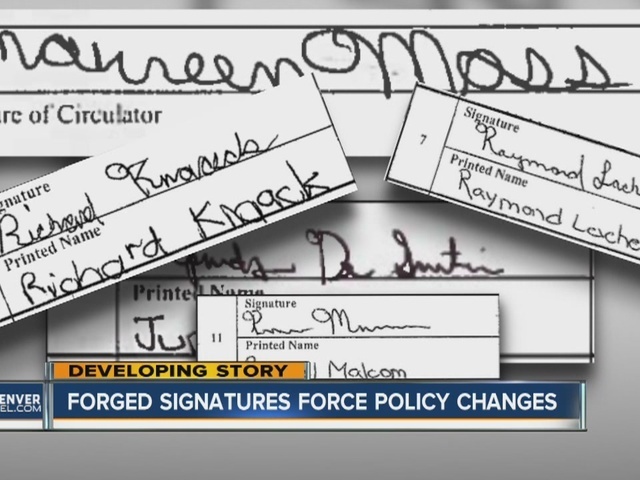 Denver7 was the first to uncover forged signatures on the petitions submitted by Keyser. As of Wednesday, Denver7 had independently confirmed with 13 voters that their signatures were forged on the petitions. According to the Secretary of State's Office, the petition lead could not verify the concern that multiple signatures were written in the same handwriting. "Their job was to review the content of the submission. They didn't see any fraud when they looked at the petition on their face, and so they didn't pass it along. In the future, we will definitely pass it along," said Choate. "Was Jon Keyser's campaign alerted to the concern of his petitions?" asked Zelinger. "On April 12 or 14? No," said Choate. "Was he ever? Was the campaign ever?" asked Zelinger. "We have never informed him as far as I know. It has only come out in media," said Choate. On May 3, Denver7 reported on a voter whose name appeared on multiple petitions. When we showed her the signature on the petitions for Keyser and Republican Senate candidate Jack Graham, she confirmed that she signed for Graham, but said that the signature on Keyser's petition was forged. Over the next week, Denver7 identified a pattern in the handwriting and signatures on the Keyser petitions that we had obtained. On May 10, we reported our first extensive story on the forged signatures; identifying 10 voters who confirmed their signatures were forged. 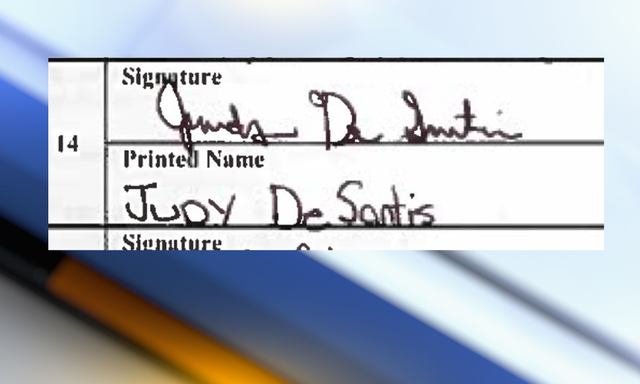 Since then, Denver7 has confirmed 13 forged signatures. Sign up for Denver7 email alerts to stay informed about breaking news and daily headlines. Or, keep up-to-date by following Denver7 on Facebook , Instagram and Twitter .